In the Merriam - Webster dictionary, odyssey is defined as 'an intellectual or spiritual wandering or quest.' Gerald Cubitt has spent more than half his life wandering the earth, photographing the wondrous creatures and natural wonders that he has encountered. 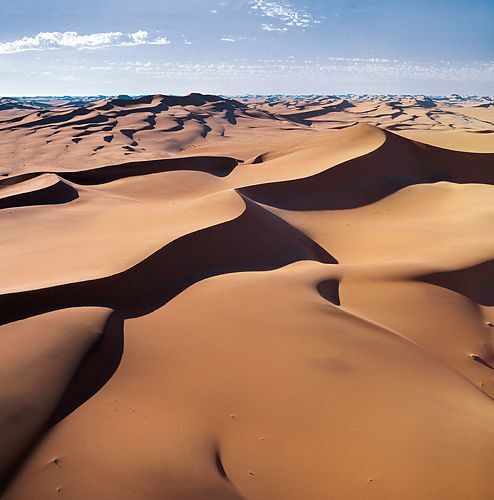 In his latest book, 'Evocative Africa: Ventures of Discovery', he presents a compilation of sublime images of sub-Saharan Africa from his vast photographic library. 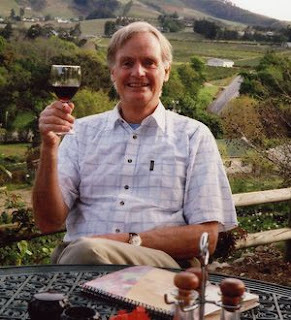 Images gathered over many years of exploring and travelling with his wife, Janet, who shares his quests and his adventures. Images he considers his personal best and a book that has taken four and a half years to bring to fruition. Gerald Cubitt is a very English gentleman. Beautifully spoken, vastly educated and with a gentle tone of voice and phrase, one might be forgiven for mistaking him for an Oxbridge don who had spent a cloistered life in academia. It takes a moment or two to recognise the adventurer behind the donnish image, the man that loves the wilderness and is happiest when camping in the bush. I have come to interview the man behind the book, and to tell his tale. 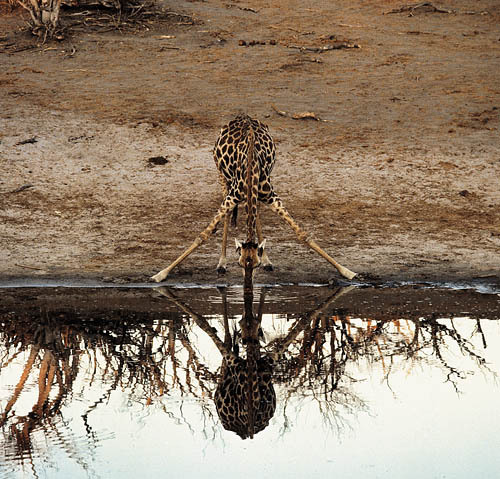 The tale of one of the world's leading natural history photographers. Educated at Ampleforth College in England and then at Trinity College in Dublin where he read Modern History and Political Science, he developed a passion for photography while still a student. Holidays were spent travelling extensively about the Middle East, indulging his fascination with Byzantine and Islamic architecture capturing images with his Zeiss Ikon camera, a pre-war model camera given to him by his father. He graduated to a Rolleiflex camera that he had bought from his brother and then, in the early 70's, the apotheosis of camera possession , a Hasselblad Camera System. He tells me of this amazing Swedish camera with German lenses that was the first to record images of the moon. It is important to remember that this was the era before digital photography and computer imaging. Wonderful transparencies that he has neatly arranged and catalogued, document the story of his photographic years using the Hasselblad camera system. All his career he has used a medium format (6cm x 6cm) instead of the commonly used 35 mm format. 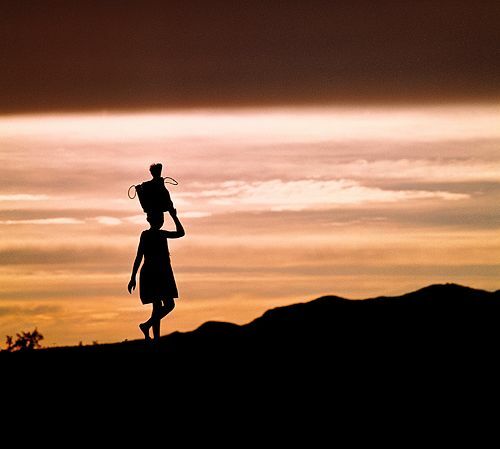 He still uses a film camera, the Hasselblad Camera System, that produces the amazingly sharp and clear images that affirm the remarkable talent of this man. He explains that he can always adapt his images to a digital format and so remain in tune with the demands of a highly technical world. 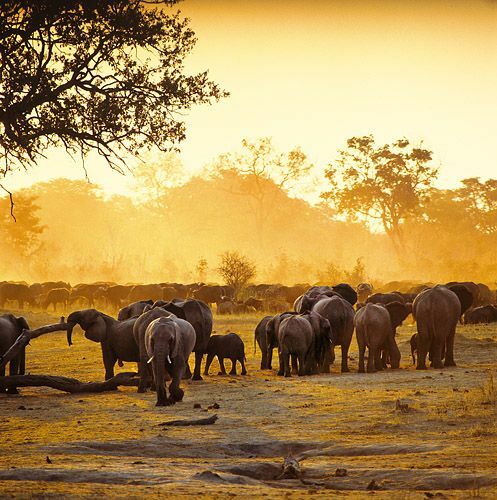 Life took him to Kenya where he, in his words, 'discovered the magic of Africa.' Ultimately, he was able to heed the call of Africa and he and his wife settled in Cape Town. Africa was never going to be his only hunting ground, however, and his 30 books are testament to his travels to far-off and exotic places. 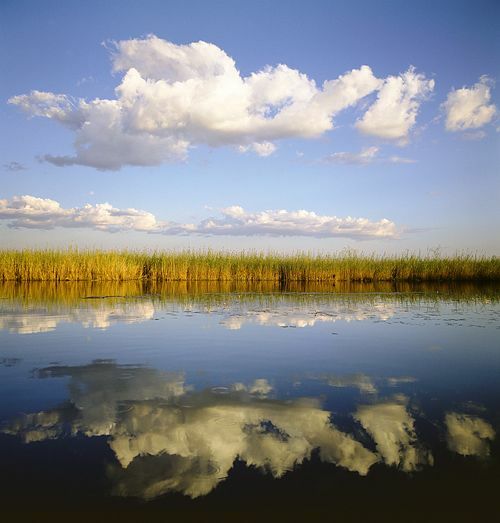 Wonderful images of National Parks in Thailand, Indonesia and Malaysia have filled volumes. In the 'Wild' series: 'Wild New Zealand', 'Wild India',: Wild Indonesia: The Wildlife and Scenery of the Indonesian Archipelago', 'Wild Thailand' and 'Wild Malaysia,' are just some of the fascinating titles. The South African R10 note shows an etching of a rhino. This etching was taken from one of Gerald Cubitt's pictures. 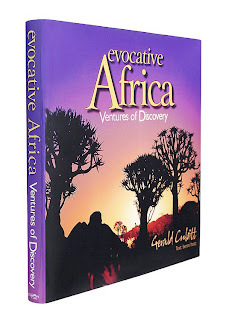 'Evocative Africa: Ventures of Discovery' encapsulates Gerald Cubitt's African Odyssey. He talks of his search for the "quintessential essence of Africa" and this book beautifully and masterfully shows how brilliantly he has succeeded. From the beginning, one is amazed. A mighty lion contemplates the setting sun, Kenyan dancers move to an ancient rhythm, a Madagascan lemur appears wide-eyed and startled and Reed Cormorants roost on the remains of a drowned forest in Lake Kariba. African colour, African light. The scene is set and we travel onwards, drawn into the marvel and majesty of sub-Saharan Africa. 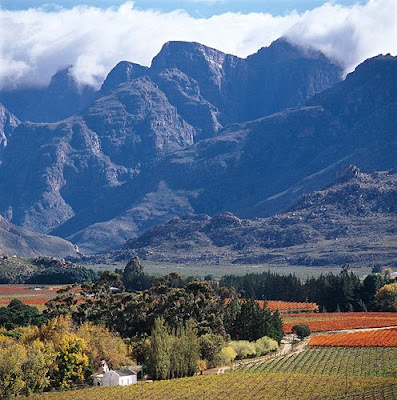 First, the Cape Peninsula in the Western Cape. A vision of Table Mountain taken from Blaauwberg Beach. Fresh morning colours, with seabirds standing patiently on the sand awaiting the ocean's bounty. And always the mountain! The magnetic heart of all the Cape's people. Onwards through the Western Cape, the wine lands and mountains, up the Garden Route to the Eastern Cape, Transkei and into KwaZulu Natal. The Northern Areas and then on to the Kruger National Park. All through Zimbabwe, Mozambique, Malawi and Madagascar and on to Northern Tanzania and some never to be seen again shots of Kilimanjaro. Pictures of glaciers and snow and ice formations that are now forever gone. Man has done his worst and global warming has destroyed the white splendour. 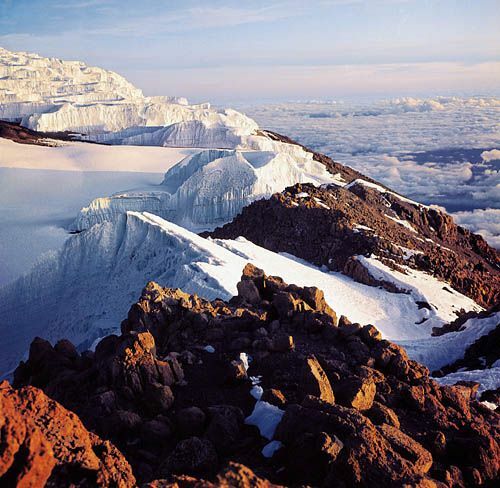 Legendary glaciers that have graced the highest summit of Mount Kilimanjaro for 12,000 years will have disappeared by 2020, if the present rate of devastation continues. The pictures are unforgiving. The effect, terrifying! 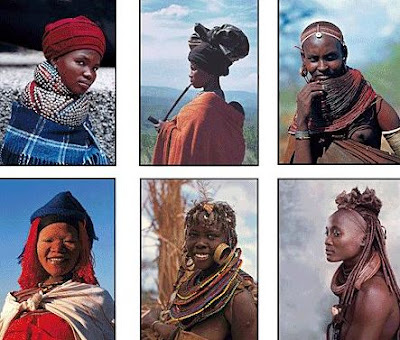 The colours of Kenya and then a leap to Botswana and the mighty Okovango. Botswana , where there is a stunning shot of a giraffe almost bending double to drink from the Savuti Channel and where the Baobab trees look like headless ogres. On to Namibia, its people, animals and wonderful skies and where the Herero women look like huge tea cosies, all plump and colourful and beautiful. 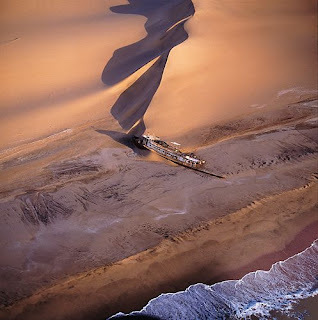 The ship wrecks on the Skeleton Coast and the unforgiving desert remain as stark reminders of nature's cruel victories over man and his endeavours. The Kalahari and The Cape West Coast Region are in magnificent contrast and finally, we find ourselves back in the Western Cape. 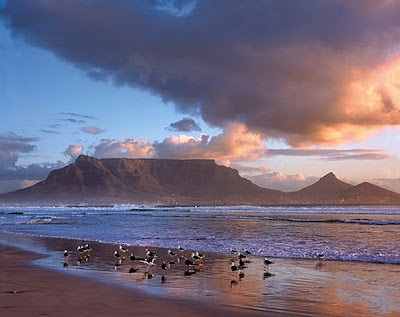 Now Table Mountain photographed from Sunset Beach, Milnerton, is an evening mountain. The sea reflects the colours of the setting sun and the gulls are very still waiting for the night. The journey is over. Accompanying the pictures is superb text by Benni Hotz who is also responsible for the design of the book. He has been in graphic design for almost three decades and works out of his own Cape Town based studio. Benni and Gerald have enjoyed previous design collaborations. 'Evocative Africa' was a very close collaboration and required years of work. Onwards! Gerald is working on a new book which would display the best of his work in South and South East Asia. He has published many books on this wonderfully exotic part of our planet and his vast photographic library is bursting with images waiting to be brought to life again. It will echo the concept of 'Evocative Africa: Ventures of Discovery'. A compilation of his work in South and South East Asia and images he considers his personal best. A rare treat awaits us. "My endeavour behind 'Evocative Africa' has been to reach below the negative perceptions of Africa that are so prevalent today to reveal the real enduring character, mystery and soul of this amazing continent". Gerald Cubitt. Evocative Africa is published by Clifton Publications and Gerald Cubitt. Giraffe Drinking at the Savuti Channel, Chobe National Park, Botswana. Aerial View of Central Namib Desert, Namibia. 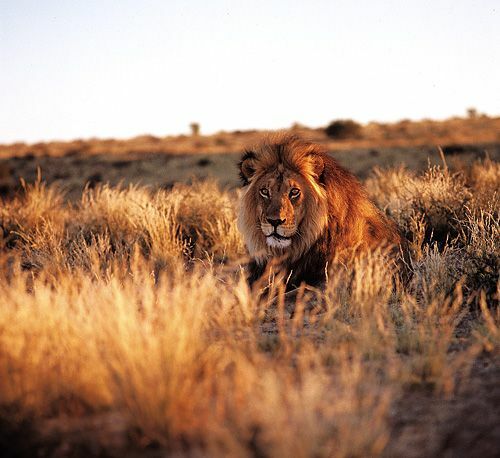 Lion in the Kalahari Desert in the Kgalagadi National Park.